Thinking about getting started with Art of Smart? 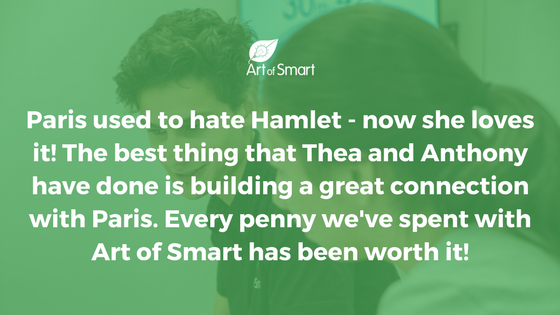 Sonia and her daughter Paris (Year 12) have been working with Art of Smart for just over 12 months for HSC English. We recently chatted to Sonia who shared her experiences in working with Art of Smart and the impact it’s had for both Paris! Prior to getting started with Art of Smart, what help was Paris needing? When Paris received her Year 11 report it identified some areas she needed more support in for English. Given English was a mandatory subject for the HSC and the school wasn’t providing Paris with the support she needed, we knew we needed to seek external help! 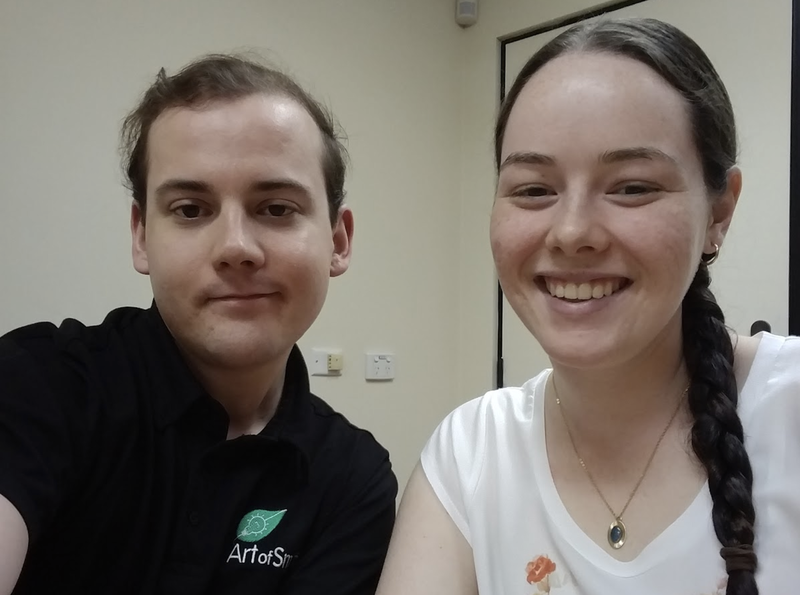 Paris is a member of the Facebook Page ‘Class of 2017’ and Paris got in touch with the group admin, George Moulos who recommended she get in touch with Art of Smart! Paris made the initial contact with Art of Smart and drove everything and then Laura from Art of Smart got in touch with me as parent to confirm everything. We’ve provided Paris with numerous assistance over the years and she was highly motivated to study and work towards her goal to study Law (initially) and now Applied Finance. We wanted to support her, and the fact that Art of Smart came recommended was important! When Paris submitted her assignments and she got positive feedback and improved results we knew we’d made the right decision! Art of Smart had provided us with great customer service and backed it up by helping Paris improve! Additionally, Paris gelled with Thea and Anthony, her Art of Smart coaches, which was also very important! Paris loves working with both of them! What have we done to help Paris? Thea and Anthony have provided Paris with lots of feedback on her work, constantly marking her drafts with suggestions and helping her improve her writing and deconstruct and analyse her texts! Paris now also has great understanding of English techniques which she hadn’t been taught at school! Paris is now confident in understanding what’s required and in meeting the assessment criteria for English! She feels confident in her knowledge and understanding to the HSC exams. She hated Hamlet for Module B. Through working with Anthony she now LOVES Hamlet! She’s quoting it and is an absolute bookworm now – it’s really pleasing to see! When we started working with Art of Smart, Paris was scoring 50% in English and in her HSC Trials she scored 86% in Advanced English! So she improved by 45%+! Paris is so ready for tertiary study now! I think overall however the best thing that Thea and Anthony have done is built great connections with Paris. They were relatable – if they weren’t, she wouldn’t have improved. She’s very socially aware and identify quickly a connection with people. If the connection wasn’t there it wouldn’t have worked! Paris has now finished the HSC and graduated from Year 12! Paris has received an unconditional offer for her first uni preference she has accepted a Bachelor of Applied Finance at Macquarie University. Paris was also offered unconditional acceptance to her 2nd and 3rd preferences! We pride ourselves on our inspirational coaches and mentors – just like Thea and Anthony!